The move comes as figures reveal seven in 10 men and almost six in 10 women are now overweight or obese. One in five Britons eats a takeaway at least once a week while 79 million ready meals and 22 million fast food dishes are consumed each week. Public health minister Steve Brine said: “Families want to know what they are eating when on the go but in many cafes, restaurants and takeaways this information is not available. The Department of Health and Social Care claims it has evidence that labelling could reduce the number of calories consumed. However, some think the latest drive will make little difference to millions of families who enjoy a Saturday night takeaway treat while others are opposed to any further “nanny state” legislation. Health chiefs have warned our insatiable appetite for fast food is creating a time bomb for the National Health Service with the numbers struck down with Type 2 diabetes set to rocket to five million by 2035. Treatment costs £10billion a year – 10 per cent of the entire NHS budget. The recommended daily calorie allowance for men is 2,500 and 2,000 for women, with a typical dish from a Chinese takeaway providing about 2,184 calories. 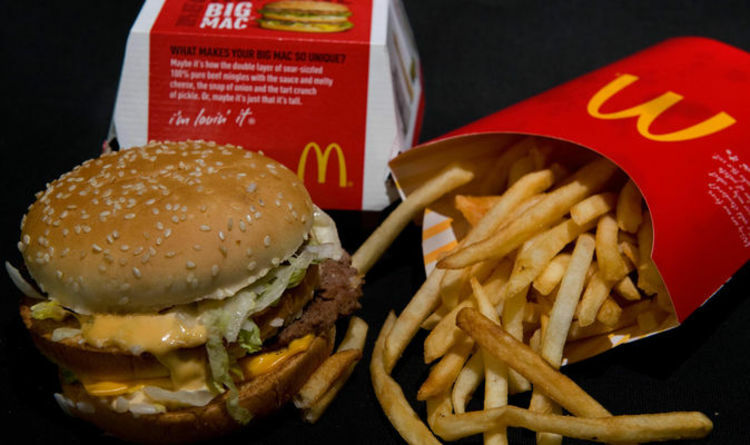 Some high street giants like McDonald’s, Wetherspoons, Subway and Pizza Express have voluntarily adopted calorie counts but hundreds of thousands of smaller outlets and street corner takeaways have not. But the Treasury has warned the plans will heap more financial misery on nearly 30,000 small businesses and could potentially see the price of takeaway food rise. The proposals, set to be announced today, form part of a strategy to halve the rate of childhood obesity by 2030. Other plans include banning the sale of energy drinks to children and a 9pm watershed for advertising unhealthy products. If trends continue almost 40 per cent of adults in the UK will be obese by 2025 – roughly 20 million people. Experts say this will send the NHS into meltdown as millions are plagued by high blood pressure, cholesterol and chronic diseases like diabetes, heart disease and cancer.